Case Study 10. December 2014. 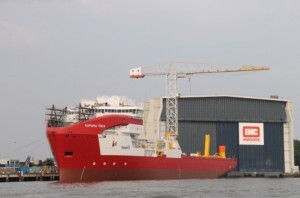 First of six orders originated by SapuraKencana of Brazil with Radio Systems for the supply of UHF operational, VHF Marine and VHF Airband equipment for 6 pipe laying vessels being constructed by IHC in the Netherlands. The first four vessels have now been built to include equipment supplied by RSL. The remaining two deliveries will be in November 2015 and March 2016. Case Study 9. Heathrow Airport Terminal 2 Eastern Campus DAS (Distributed Antenna... Case Study 11. UK Government Secure Site.